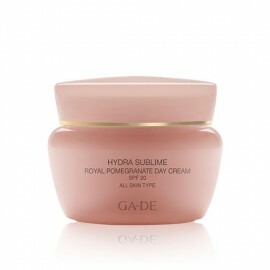 The Hydra Sublime Aqua Rose Day Cream SPF 15 is a lightweight, oil-free cream envelops the skin with immediate freshness and long-term hydration, by aiding the release of moisture to the skin. 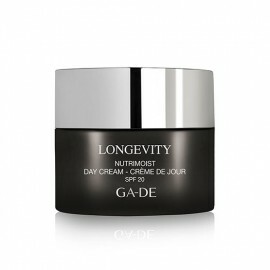 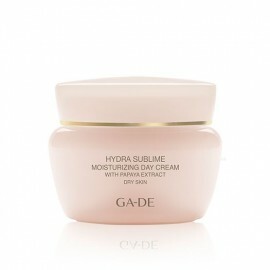 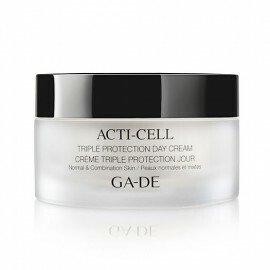 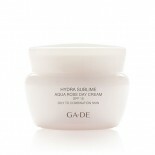 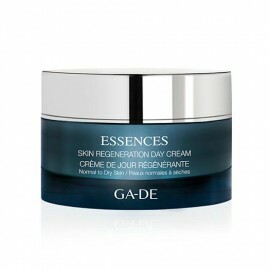 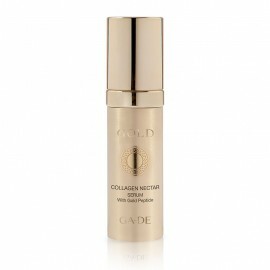 This fine, supremely comfortable day cream envelops the skin with immediate freshness and long-term hydration. 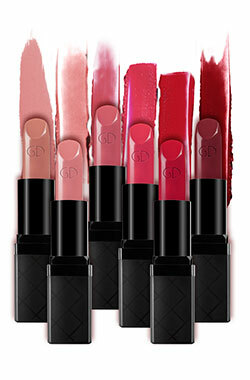 The smooth, ultra-fine texture glides delightfully over the skin. The Hydra Sublime Aqua Rose Day Cream SPF 15 contains a harmonious blend of organic and natural ingredients: Damask Rose Flower Water Certified as organic, Damask Rose Flower Water, known for its regenerating properties, is obtained by the steam distillation of flowers and flowering summits. 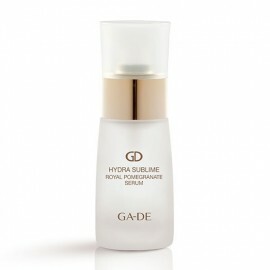 Cabbage Rose Extract. 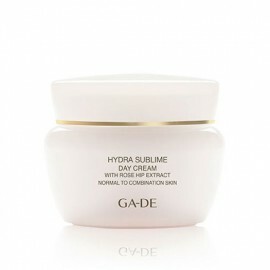 This hybrid rose extract is renowned for its soothing and purifying benefits. 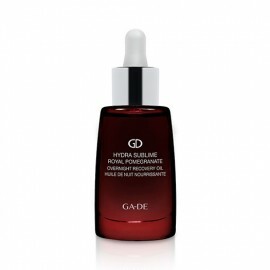 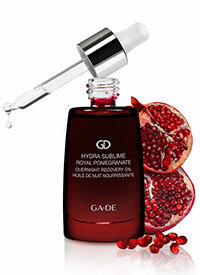 Swiss Alpine Oily Skin Treatment Derives from a rare pink-purple flower grown organically in the Swiss Alps. 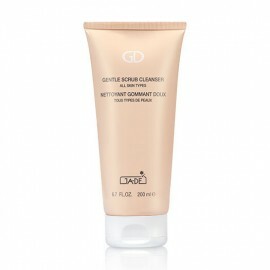 Helps to reduce sebum production as well as removing excess oil and shine from the skin's texture. 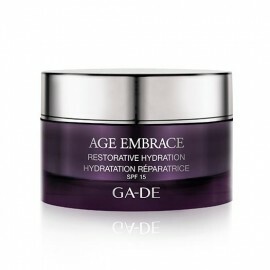 Long-Lasting Marine Hydration Patch & Blend of Natural Moisturisers. 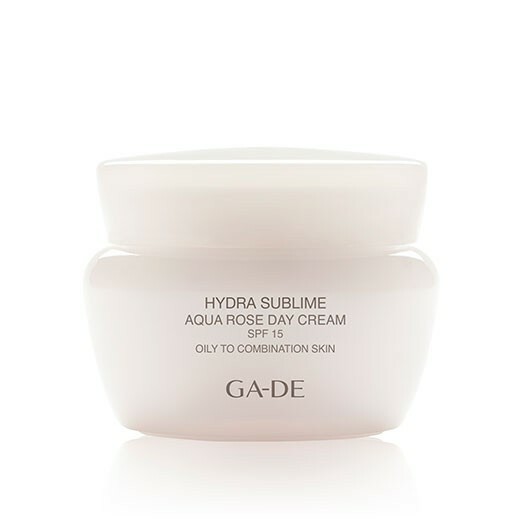 A marine collagen alginate serine complex that aids the release of moisture to the skin, with additional natural moisture actives. 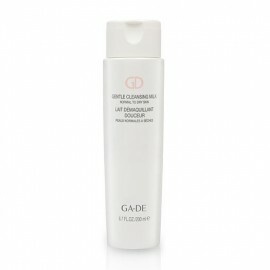 AQUA/WATER/EAU, ALCOHOL DENATURATED/ALCOOL D?NATUR?, ETHYLHEXYL METHOXYCINNAMATE, OCTOCRYLENE, GLYCERIN, BUTYLENE GLYCOL, C12-20 ACID PEG-8 ESTER, DIMETHICONE, NYLON-12, POTASSIUM CETYL PHOSPHATE, PHENOXYETHANOL, ACRYLATES/C10-30 ALKYL ACRYLATE CROSSPOLYMER, ROSA DAMASCENA FLOWER WATER, PARFUM (FRAGRANCE), TITANIUM DIOXIDE, ETHYLHEXYLGLYCERIN, CYCLOPENTASILOXANE, SODIUM HYDROXIDE, PARFUM (FRAGRANCE), XANTHAN GUM, CHONDRUS CRISPUS EXTRACT, DISODIUM EDTA, HEXYL LAURATE, POLYGLYCERYL-4 ISOSTEARATE, SODIUM LACTATE, SODIUM PCA, PEG-10 DIMETHICONE, TOCOPHERYL ACETATE, STEARIC ACID, ALUMINA, PEG-8, BIOSACCHARIDE GUM-1, BENZYL SALICYLATE, TOCOPHEROL, CITRONELLOL, BENZYL BENZOATE, EUGENOL, EPILOBIUM FLEISCHERI EXTRACT, GERANIOL, BENZYL ALCOHOL, ASCORBYL PALMITATE, FRUCTOSE, GLYCINE, INOSITOL, LACTIC ACID, NIACINAMIDE, UREA, SODIUM BENZOATE, ROSA CENTIFOLIA FLOWER EXTRACT, CITRIC ACID, ASCORBIC ACID, DEHYDROACETIC ACID, CI 17200 (RED 33), POTASSIUM SORBATE.